Brighton Beach Memoirs is the 1986 big screen adaptation of Neil Simon’s stage play from director Gene Saks working from a screenplay by Simon himself. The story tells of a young Jewish boy, Eugene (Jonathan Silverman), growing up Brooklyn’s mixed ethnic neighborhood of Brighton Beach during the 1930s jazz age. It is told as a recollection of Eugene’s memoirs from the era as he lives with his parents (Blythe Danner and Bob Dishy) his aunt Blanche (Judith Ivey), his two cousins, Nora (Lisa Waltz), whom he has a crush on, and Laurie (Stacey Glick), and his older brother Stanley (Stacey Glick), whom he looks up to. There’s an undoubted charm and quaint atmosphere to this version of Brighton Beach Memoirs, and what starts out as a simple coming of age tale does eventually take a turn into a deeper family drama. That said, the film’s screenplay never quite takes flight. It is best when it is following Eugene on his quest to “see a naked girl” or negotiate the busy streets of Brooklyn as he makes his way to the delicatessen for the third time in a day to pick up whatever random supplies his mother needs. When the story tries to tread into the territory of depression-era problems, racism, and pre-World War II anxiety, it fails miserably at shifting tones but rather feels forced and platitudinous. Where Gene Saks makes up for the weaknesses of the film is in its quick tempo and the cinematography that takes us back to the era with the sets, the clothing, the automobiles and believable backdrops that still hold up today, knowing these were the pre-CGI days. And Jonathan Silverman puts in a charming performance even if much of the material in this story doesn’t pass the modern smell test given its overtly sexist overtones. 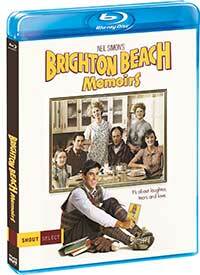 Brighton Beach Memoirs hits Blu-ray in its original 1.85:1 aspect ratio encoded in a 1080p AVC transfer. The early credit sequence looks soft and a little rough, but things do settle down after that; still there’s a lot of overall film softness and mid-shots look soft. Close-up detail is good, and colors look natural, but the shadows do tend to look a bit mushy and extra grainy, tipping over into noise. Brighton Beach Memoirs comes to Blu-ray with its original monaural audio mix in DTS-HD Master Audio 2.0. The sound is more than adequate for a monaural mix from a dialogue-driven 1986 film, offering clear dialogue and little noise. This film is not perfect by any means and when I first watched it when I was younger it didn’t move me much, but looking at it through older eyes I find it to be a rather clever hidden gem that has some weaknesses that keeps it from being a greater film. This transfer also bogs this release down a bit, but it is still pleasing overall. Brighton Beach Memoirs is out on Blu-ray March 26, 2019 in Shout! Factory’s Shout Select series. 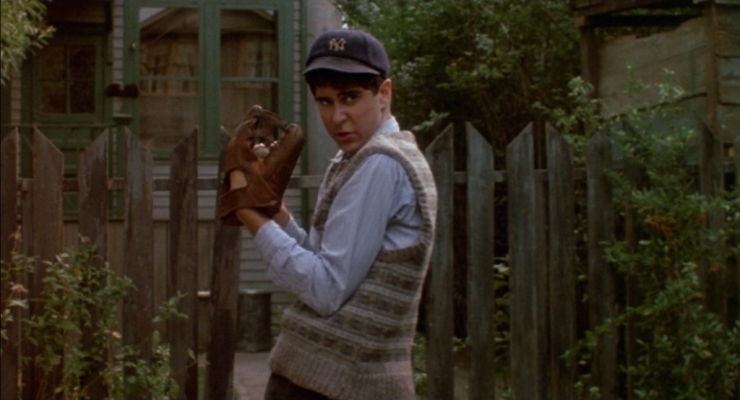 A Jewish man recounts his memoirs as a young boy growing up during the 1930s in Brighton Beach with his parents, his aunt, his two cousins and his older brother in this 1986 adaptation of the Neil Simon stage play from director Gene Saks based on a screenplay by the Simon. While the film has its flaws, Saks does keep it breezy and the comedy and cinematography shine through. This new release to Blu-ray from Shout! Factory is satisfying, but not the best new transfer of an older film.